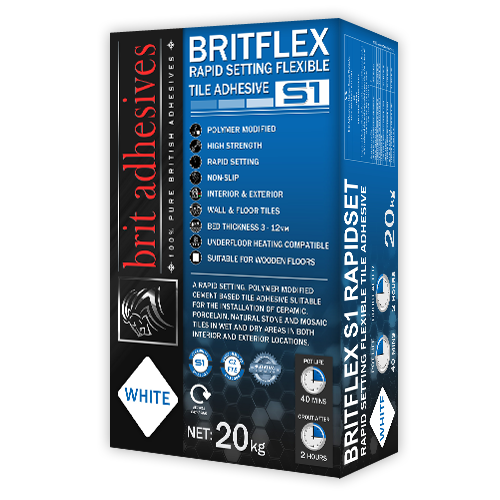 BRITFLEX S1 SLOWSET is suitable for fixing different tiles including ceramics, slate, limestone, marble, porcelain, terrazzo and mosaics to a variety of surfaces. 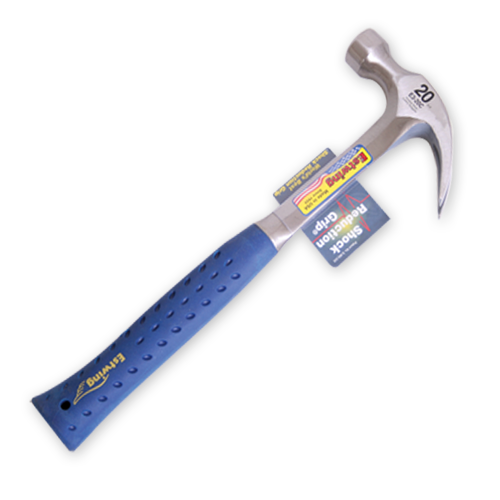 If used externally then a solid bed method of fixing is recommended. 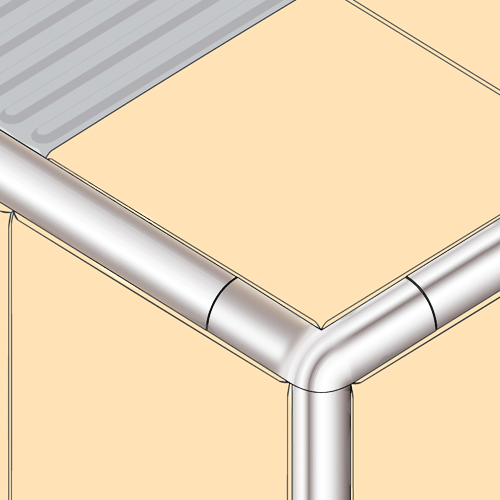 BRITFLEX S1 SLOWSET is suitable for both matted and piped underfloor heating. Ideal for use when a slower setting adhesive is required especially in summer conditions. 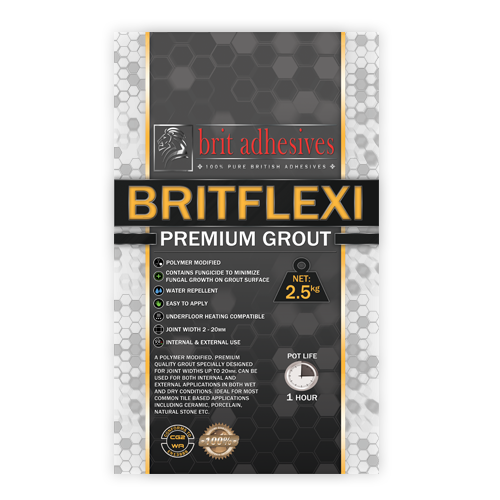 BRITFLEX S1 SLOWSET ADHESIVE is suitable for fixing including ceramics, slate, limestone, marble, porcelain, terrazzo and mosaics to a variety of surfaces. 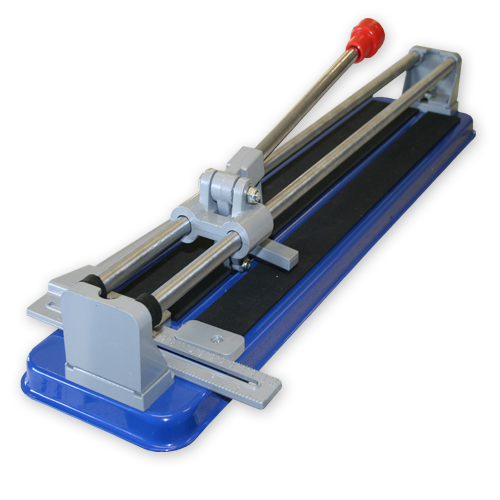 If used externally then a solid bed method of fixing is recommended. 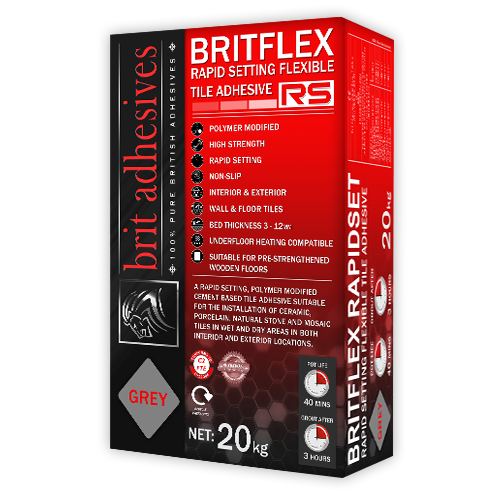 BRITFLEX S1 SLOWSET is suitable for both matted and piped underfloor heating. Ideal for use when a slower setting adhesive is required especially in summer conditions. 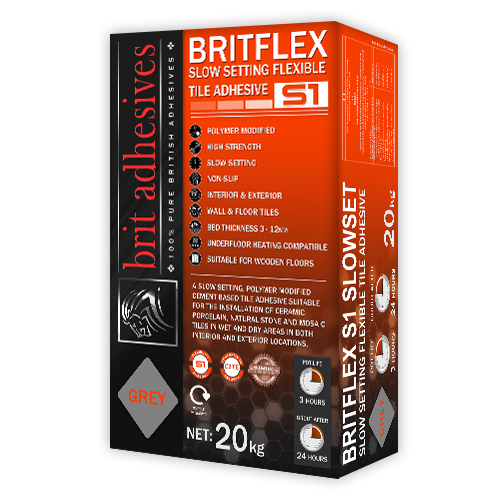 Be the first to review “BritFlex S1 Slowset Adhesive 20kg Bag – Grey” Click here to cancel reply.